UNN Post UTME Screening Pattern: How Admission Screening will look like. UNN Post UTME Screening Pattern… From my past experience, i will guide you on how University of Nigeria, Nsukka will conduct its fourth coming Post UTME screening test. Also, this piece will guide you on the do’s and don’t of UNN as an aspirant of the institution. Stay calm and read through. UNN has a culture and this culture is been followed in almost everything UNN does. Last year, UNN had already put up her questions for putme before it was cancelled by the government and its same questions they are going to put up for this year. People coming to our office to ask if UNN will conduct putme this year, the answer is YES, UNN will conduct physical putme this year and these are few things you should know before then. The putme will take place in Nsukka campus for all courses and the venue will be UNN digital library. I said so because am among those that will invigilate during that period and we have already started getting messages to start getting ready, the actual date is not yet known but it will be in September. UNN will not officially provide accommodation for the aspirants but the few hostels “MAY” be opened, I said “MAY” because we have not officially gotten the info on that. If on the other hand the hostels are not opened, we are making private arrangements to assist as many as we can during that period and its going to be free. Some churches will also help out when the time comes. 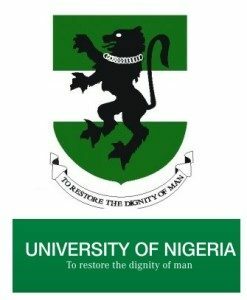 UNN has not officially said anything concerning cutoff marks, immediately its out, I will inform everybody, it will also be in UNN official website. The questions for putme will be 4 subjects. Those subjects you wrote in Utme are what you are going to write during putme and it will be 15 questions each. Concentrate on Jamb past questions and text books. The exam will last for 3 days unless there are changes. Be informed that the ongoing ASUU strike will not have any effect on admission process because universities have been given deadlines on when to conclude admissions. So, start reading and be getting prepared. Directions to Nsukka from various parts of the country will be posted in my next post. How and where you can transport to Nsukka from wherever part of the country you reside. Be careful of how you meet or ask people you don’t know for UNN admission help, if there is anybody who tries to deceive you into that, feel free to report such person to us, there is no staff who is genuinely into admission in UNN that we don’t have his profile. If there are other enquiries or any info you need to ask, kindly drop them as comments and I will attend to them.